Tytherington School Achieves Outstanding Record Results! 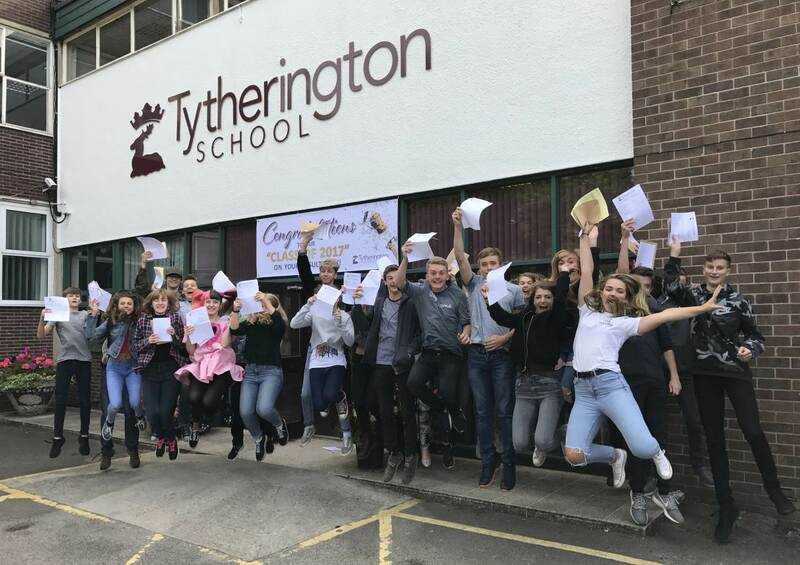 Hot on the heels of excellent A-Level results, Tytherington School is yet again celebrating record GCSE results. Despite the enormous turbulence and reform at GCSE, we are delighted to announce that we continue to achieve outstanding results. Provisionally, 83% of Year 11 students achieved a standard pass (grade 4+ and above) in English and Maths. This is in line with our record-breaking results last year. 79% of Year 11 students achieved 5 GCSEs including English and Maths at the standard level (C+/4+). Again this, is in line with what we achieved last year which represented an improvement of 15% on the figure in 2015. Nearly 90% of students achieved 4+ in English and 86% in Maths. A third of all grades were either A/A* or 7-9 in English. The progress and attainment of students at GCSE is yet again very strong. Elizabeth Ashby, Chloe Barber, Cameron Belfield, Ellie Birchill, Charlie Blood, Elise Bowmaker, Gavin Bunyan, Elizabeth Caunt, Eireann Clapham, Natalya Corn, Jasmine Cross, Maya Dagdelen, Joe Helliwell, Harry James, Emilie Juif, Susan Laffan, Alicia Ledbury, Molly Makepeace, Summer Makepeace, Harry Mattocks, Eleanor Millar, Jasmine Moss, Amy Mullins, Milly-Jay Phillips-Malley, Megan Proffitt, Alexander Reed, George Richardson, Sebastian Roberts, Oliver Sadler, Amber Simpson, Scott Steedman, James Storey, Cameron Tebay, Nicole Vickerstaff, James Walton, Rachel Warrington, Nathaniel Wattis, Adam Worthington and Sam Yardley. Underneath the record results, there are many astonishing stories. 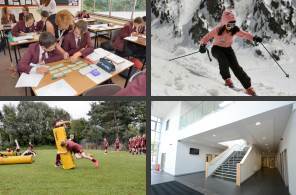 Here are a selection which gives you an insight into what we are about at Tytherington School. Having joined us in very difficult circumstances from Malawi and only speaking the Chichewan dialect, Iqra worked incredibly hard to achieve his 8 GCSEs. Performing well above all expectations, he became a real role model to other students because of the effort he put into every aspect of his learning. Iqra is a keen “Vlogger” and his videos have been viewed over 30,000 times. It is fantastic to have seen Iqra grow over the course of his time with us into an A* person. In additional to a full set of GCSEs, Susie studied Dutch throughout her GCSE studies. Susie achieved an A* in GCSE Dutch while she was in Year 10. In Year 11 she studied AS-Level Dutch and achieved an A grade as well as achieving 9 further top A*/A grades at GCSE. Caitlyn Lloyd balanced GCSE study with a huge extra-curricular commitment. As a member of the Police Cadets, Caitlyn has been involved in several community projects and fundraising events. Within school, Caitlyn is a school Transition Ambassador and a Sports Leader. She has also recently completed her Bronze Duke of Edinburgh Award and has spent four weeks of her summer holidays completing the National Citizens Service (NCS) Course. Caitlyn is now celebrating a fantastic set of results including 10 A*-C/5+ grades. Alongside a fantastic set of results, Xabier Wilson successfully completed Grade 7 in the Saxophone, as well as, a grade 5 in piano. In addition to being a key member of the school orchestra, Xabier also performs with The Macclesfield Music Centre. An extremely talented musician who aims to complete his Grade 8 Saxophone in November. Mr Manny Botwe, Headteacher said: “These results are unprecedented and our attainment is amongst the very best in the North West. The progress of students remains very strong and we expect even better results next year. We believe that these results vindicate our policy of not forcing students to take the Ebacc pathway at GCSE. We believe that students should pursue an appropriate pathway of study at GCSE which they are passionate about and enables them to fulfil their potential.